I continue to see the months of July, August and September as months that represent a full completion of one chapter and the segue into the new chapter. A segue is an uninterrupted transition from one piece of music or film scene to another. This summer is a divine segue from red to green, from the “Selah” pause to the transition into the new. 2017 is a breakthrough year; a year of upgrades, positioning, unity, family and the family of God leading a charge in new corporate authority against the enemy. I could hear the sound and feel the shift of this segue or transition as we passed into July. It is the 7th month and seven is the number of completeness and perfection (both physical and spiritual). It derives much of its meaning from being tied directly to God’s creation of all things. Things in the natural and spiritual will now segue and go forward into this new chapter, new sound and new scene. Many will begin to function in the “new” this month and over the summer months. They will receive the green light that causes motion to begin that moves them forward. God has been calling His family to come together and move forward as one. If you are moving with a team, family or troop you may seemingly have a slower start but do not be discouraged by this as it is assuring that you are walking together; shoulder to shoulder. Troops (military) and families function best when they learn not to break ranks or jostle one another. There is great breakthrough that comes with unity and walking as one. 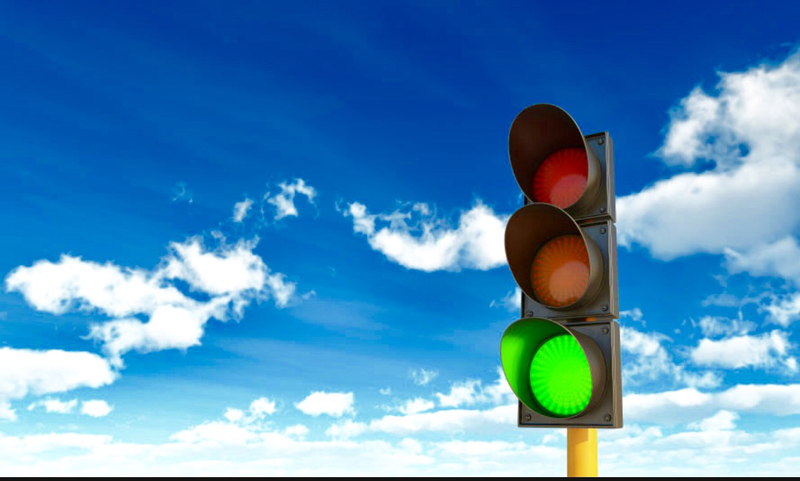 As this green light signals the “go” it is important for those who like to rush forward to be patient and for those who are careful (slow) about moving to trust the family or troop that they are moving with so that they can keep up. Do not break rank! This “go” and green light is a signal for Joel 2:8 to begin. It is the time of the family to function as a troop and the troop to function as a family. Every person, every gift, every call as important as the person’s next to them. No one “pulls rank” through the power of human strength or gifting but all walk shoulder to shoulder being sure not to break rank. The mighty power of the Spirit within all will enable each to walk in personal humility; yielding to see the power of corporate authority come forth. We are moving from an era or chapter of individual anointing and authority to corporate anointing and authority. This is a divine strategy for overcoming the battles ahead. Breaking rank (pulling rank) will put all at risk and break the strength of the whole. Remaining positioned in unity will cause you to breakthrough both personally and corporately. You will breakthrough the the defenses without anyone missing a step. Corporate is key! Family is key and unity is key! The prayer of Jesus that begins in John 17:20 is key is 2017.